After five decades of armed conflict in Colombia between the Revolutionary Armed Forces of Colombia (FARC) and the Government of Colombia, an estimated 218,094 people have died (81 percent of whom were civilians) and an additional 5 million people have been displaced. In June 2016, the FARC and the Government of Colombia signed a ceasefire. A peace treaty was finalized on August 24, 2016. Recent estimates cite 8,000 active fighters in the group. Pending a referendum scheduled for October 2, the Colombian Government will begin relocating former FARC members to temporary normalization zones, beginning the transitional justice period which is planned to last at least 180 days. Most of these combatants come from poor, rural communities. Throughout the duration of the conflict, the Government of Colombia has faced several challenges in providing services in rural areas. Such voids created vulnerable spaces for non-democratically elected authorities to take control. In response, the Government of Colombia has established a comprehensive 10-year strategy to prevent conflict from rising up again in 186 critical municipalities, and to build legitimate institutions together with rural populations from the bottom-up. De jure peace does not automatically heal social, emotional, and political wounds. Libraries Without Borders sees a narrow window of opportunity for the international community to support the Government of Colombia in closing rifts between ex-combatants and Colombian citizens, and to build strong bridges for reintegration at the offset. The Ideas Box is a portable media center designed as a kit that fits on two standard transportation pallets and that can be set up in under 20 minutes. The Ideas Box opens to create a space covering 330 square feet, and provides access to laptops and tablets, a library with both paper books and e-readers, and a built-in cinema. 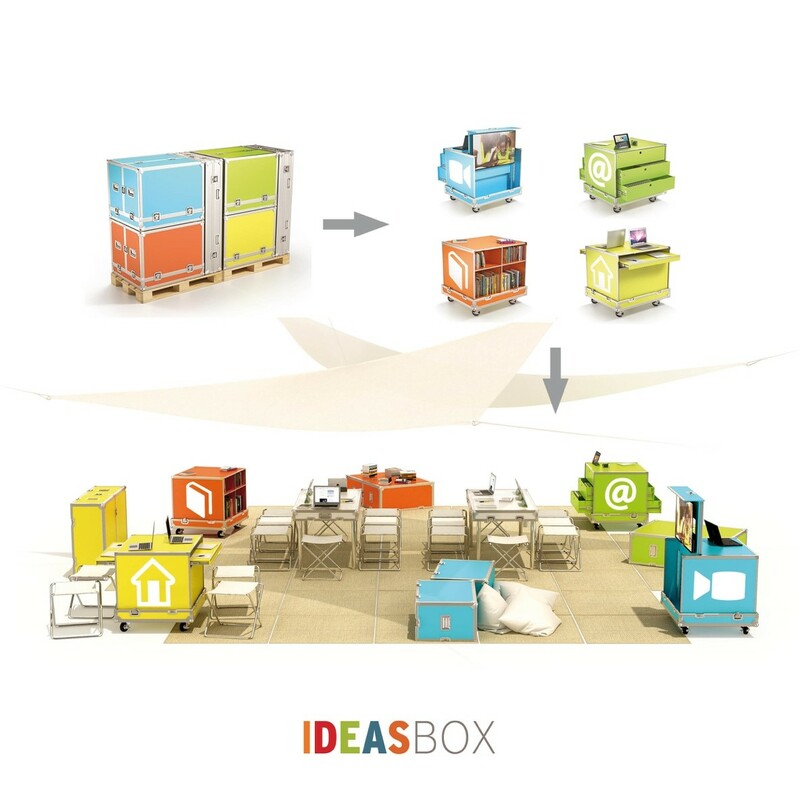 The Ideas Boxes can be transported to remote areas by truck, and can be quickly moved from one area to another in response to dynamically changing needs. LWB will place one Ideas Box in each of the 23 special jurisdictions set aside for demobilization and reintegration of ex-combatants. The focus of this first phase of the project, in alignment with the Government’s 180-day demobilization strategy, is to offer FARC ex-combatants cultural tools and cultural programs aimed at building trust between ex-combatants, Colombian citizens and Government institutions. Libraries Without Borders is a non-profit whose mission is to expand access to information, education, and cultural tools for isolated and vulnerable communities. ChildFund's mission is to help children living in poverty have the capacity to become young adults, parents and leaders who bring lasting and positive change to their communities.